This Island offers a few different dive sites, the most impressive and most dived is the Koh Bon West ridge, this is a known Manta Ray cleaning station and the main reason people want to do this dive. The ridge comes down from the island under the water to depths of 40m and is covered in table corals, soft corals and plate coral. The visibility here is normally 20/30m but on a good day can go to 40+m and is simply stunning. You tend to descend near the wall on the South side of the island where current is lax and swim along to the ridge, taking in many sites as you go, schools of Yellow Back Fusilier, Big Eyed Snapper, Oriental Sweetlips, the fish life here is extremely diverse and there is plenty to see. Always make sure you keep a look out into the blue to catch a glimpse of the Manta Rays swimming magically past you. At times you can have up to 5 Manta Rays playfully gliding around the divers as they hang in the water, no really this happens a lot, these beautiful creatures put on an amazing show some days for us, even the mythical rarely seen Black Manta has been spotted here. There can sometimes be a strong current that changes direction as you swim over the ridge, you will encounter many other divers hanging onto the top of the rock waiting for the Manta Rays coming to get cleaned. Look out for Octopus hiding in the cracks of the rock, Clarks Anemone fish in their homes, Moray Eels in the corals, and Nudibranchs of all types and colour. 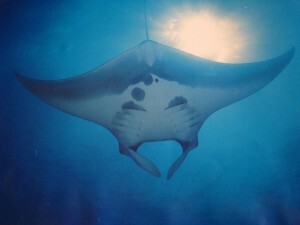 This makes a fantastic early morning dive and if you are lucky enough to see a Manta a wonderful way to start the day. More than 1 dive is needed on this site to take everything in, it really is a must do dive on the Similan Islands cruise. The other site occasionally dived here is the Koh Bon Pinnacle, this is a deep dive so is often the early morning dive. The top of the pinnacle is 18m and goes to 45m on one side, 30m on the other. This is set apart from the island itself and can have strong currents, for this reason your dive guide doesn’t hang on the surface too long descending straight down onto the pinnacle taking in the mass of yellow soft corals covering it, it is a spectacular sight. Look out for the Shrimps, Moray Eels, Octopus and even a grumpy looking Stone fish camouflaged on the top. After 15 minutes or so swimming around the pinnacle you can make your way to the reef on the North west side of the island, always looking for Manta Rays and White Tip Reef Sharks as you go. Be sure to hold your regulator in your mouth when you first dive Richelieu Rock as your jaw drops open at the sheer beauty of it. This dive site is part of the Surin National Marine Park, although it is set apart from the islands in the middle of the Andaman ocean. Only the first 1 meter of Richelieu Rock breaks the surface at low tide, it was discovered by Jacques-Yves Cousteau and the dive site is so named from the shape, it is said to resemble Cardinal Richelieu’s collar as a series of pinnacles form a horse shoe shape under the water. The stunning array of colours will leave you breathless as you descend into a vision of purple corals, surrounded by all manner of marine life imaginable. This dive site offers a vast range of pelagic life, you will be swimming through huge schools of Snapper, Trevally, Barracuda, Fusilier, looking for Seahorses, Pipefish of every kind, an abundance of all types of shrimp and Moray Eels including the rare and incredibly beautiful Harlequin shrimp. 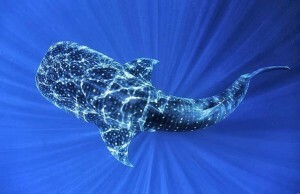 But the main attractions of this dive site are the Whale Sharks that visit the area regularly. Being shy creatures they do not like to be chased, but hang in the water and wait and they will reward you by swimming up nice and close, back and forth, coming close to you for as long as your air will last. As they are most regularly seen at depths of 5m this definitely makes for one spectacular safety stop. There is a buoy on the south east pinnacle; this is used as reference point to descend by. Each dive is different, your dive guide may spend the first dive exploring deep on the east side to find the Tiger Tail Seahorses, then take you up around the north pinnacle to shallower depths looking for Durban Dancing shrimp, Banded Boxer shrimp, Moray Eels and the rare Tomato Anemone fish seen swimming in the colourful anemones at the top of the pinnacle. Your following dives may explore the west side, or in the middle of the horseshoe looking upside down under rocks for the shy and wonderful Harlequin shrimp, whichever way around you go always remember to look up into the blue for the Whale Sharks. 1, 2 or even 3 dives in a day are not enough for this Surin dive site, there is so much to take in, so much to encounter, it is the most talked about dive site on a Similans Liveaboard cruise for a reason, just come and see for yourself why it’s one of the worlds and definitely Thailand’s top dive site. 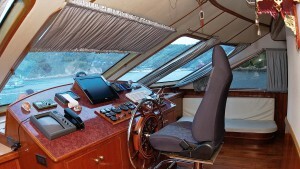 The Scuba Explorer is one of finest liveaboards you’ll find in Thailand. She’s big, she’s stable, and the quality of service is unparalleled. 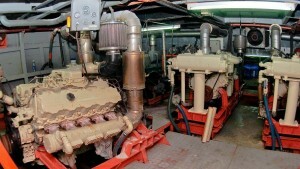 Until 2007, she was a Japanese-only boat, but that has now changed. Today, the Scuba Explorer is open to people from all countries who are interested in a first class luxury liveaboard holiday with superior service. You’ll find that a trip on the Scuba Explorer is memorable not only for the wonderful diving you’ll experience, but also for the unique cultural opportunities you get when people from all over the world come together to share a common experience. Feel free to check our our upcoming liveaboard trips or keep reading for more detailed information on the M/V Scuba Explorer.